Cesc Fabregas completed his move from Chelsea to Ligue 1 strugglers Monaco on Friday to reunite with his old Arsenal teammate Thierry Henry. A source told AFP that Chelsea will only receive payments related to Fabregas' performance at Monaco, contrasting with media reports that the club had already agreed to pay Chelsea 10 million euros ($11.5 million) for the player who could now make his debut for his new club in Sunday's Ligue 1 game away at Marseille. "Wow. I'm honoured to announce that I will be starting an exciting journey with this wonderfully historic Club. @AS_Monaco will be my home for the next 3.5 years and I cannot wait to start this new challenge," tweeted Fabregas. 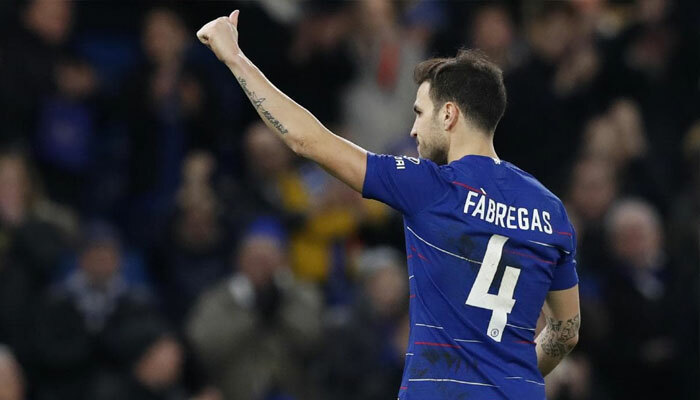 Fabregas made a tearful farewell to Chelsea fans in Saturday's 2-0 FA Cup win at home against Nottingham Forest, where he had a penalty saved. However, they have won just twice in nine league games since Henry's arrival and currently languish in the relegation zone, five points from safety before the weekend's matches.